I have always had a romance with trains, signs, things that develop a beauty all of their own as they age and wear. The beauty of hard work and purpose. 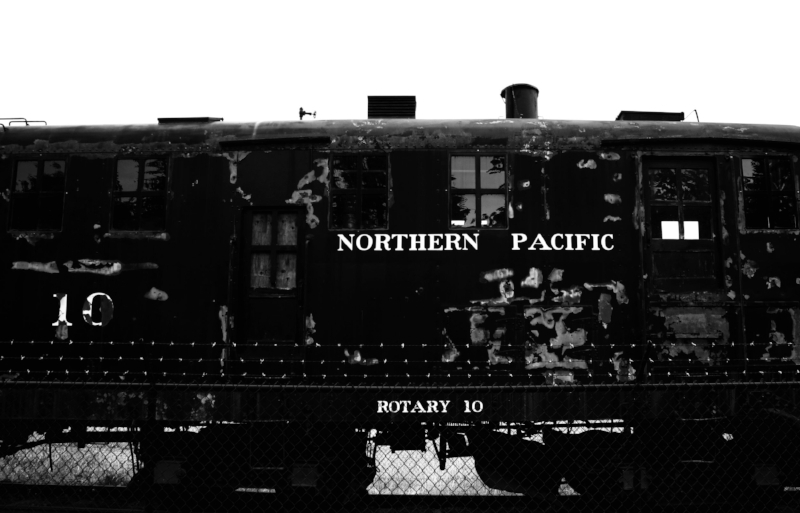 I hope to have captured that beauty in this collection of photographs I took of old trains. Below are a few of the images from my Iron Horses collection. Iron Horses was exhibited for over a year in a one-person show at the Dayton Historic Depot in Dayton, Washington and for three months as the first ever exhibit to be presented in Seattle's historic Union Station. This series of photographs won a 4Culture grant and will now be on exhibit at my favorite cafe, The Practical Sparrow! Please stop by and enjoy the art, the food and the lovely cafe! “Stations, airports, seaports and various locations of transition are wonderful points of personal reflection. "Where am I going in life?" "Where did I get off track?" "What do I really want?" Questions of this sort lead us to search. This search becomes aspiration if we are surrounded with suggestive beauty.